Tea drinking is believed to have originated in China about five centuries ago. The word 'tea' itself comes from the Chinese 't'e', pronounced 'tay'. Not until European traders sailed to China in the 17th Century, did tea finally arrive in Europe. In 1610, the Dutch East India Company brought tea to Holland and by the 1650s, it was imported by the British. Up until ten, coffee was the beverage of choice in London Coffee houses served as social hubs where young aristocrats gathered to gossip and be seen (and not a Starbucks in sight!) As tea rose in popularity, the British government taxed it heavily in order to protect the coffee industry. Despite the taxes, the working class people of England increasingly enjoyed their daily "cuppa". The tradition of "high tea" at about six o'clock originated with the rural and working class people who would come home from the factories and fields for their main meal consisting of potted meats, fish, cheese and salads. In contract, "low tea" was taken in the late afternoon. The invention of "afternoon tea" is credited to Anna, Duchess of Bedford, who in about 1840 began taking tea with sandwiches and cakes to ward off "that sinking feeling" around four o'clock in the afternoon. Since the upper classes ate dinner fashionably late, Anna and her friends found that tea and small cakes were perfect to tide them over between lunch and dinner. Her idea soon became the fashion, and an English institution was born. Tea came to America with the Dutch and English colonists. Revolutionary War hero Paul Revere, made a living producing silver tea service sets. And, tea made it to the history books as a symbol of liberty in Boston Harbor when the colonists' frustration with English taxation exploded into the Boston Tea Party sending pounds of tea into the Harbor. In 1860, at the age of 10, a young Scottish lad from Glasgow took his first job. This began a lifetime of hard work and extraordinary success in the tea business. Lipton was the first to standardize the quality of his wares throughout his 20 plus shops in Scotland. His credo was to offer the highest quality product at a fair price by eliminating the middleman and buying teas directly from his suppliers. He acquired several tea estates and became his own supplier of t ea. He capitalized on his own supply system and promoted Lipton tea as "direct from the gardens to the teapot." In 1890, Sir Thomas Lipton brought his premium quality teas across the Atlantic to America. He had recognized that what tea drinkers wanted most in their tea was fresh, high quality leaves that produced the "Brisk"® taste he pioneered. Sir Thomas was the first to package his product in small, convenient sizes to keep the tea fresh, preserve the flavor and guarantee that customers received the correct amount of tea. No longer known as The Thomas J. Lipton Company, the company, owned by UniLever is now known and marketed only under the name Lipton. The tea we drink in the U.S. is shipped from India, Sri Lanka, Indonesia, Africa and Japan. Some teas also come from China and New Guinea. Still others come from Taiwan, Russia and South America. There are three basic types of Asian tea; Green (unfermented), Black (fermented) and Oolong (semi-fermented.) All three come from the same tea plant - Camelia sinensis. The differences result from the way the tea leaves are plucked and processed. Although there are three basic types of tea, there are over 3,000 varieties to choose from. 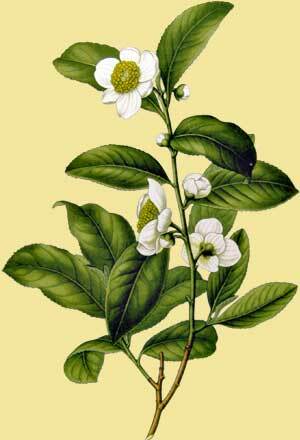 Like some wines, teas often take their names from the areas in which they are grown. At any one time, there may be over 40 different teas in one Lipton® tea bag. The tea buyer is responsible for maintaining exacting standards for flavor and quality throughout the year. Contrary to their give name, herbal teas are not tea at all. Herbal teas do not come from tea plants, but from any part of herb and spice plants including the leaves, flowers, roots, bark, seeds or stems. People in the U.S. drink more iced tea than anywhere else in the world. Iced tea was born at the St. Louis World's Fair in 1904. A tea merchant was dismayed when he couldn't sell the hot brew in the sweltering heat. In desperation, he poured the hot tea over ice and iced tea has been enjoyed ever since - all year round. One hundred tea bags (eight ounces of t ea) makes one hundred cups of tea. It takes two pounds of coffee to produce one hundred cups of coffee. A pound of tea contains more caffeine than a pound of coffee, but less tea is used per cup. To reduce the caffeine in a cup of tea, brew it for a shorter period of time. Always use boiling water and preheat your teapot or cup. An average tea bag brew time of three minutes yields 20 to 46 milligrams of caffeine per five ounce serving of tea. How to Brew a Good "Cuppa"
Use fresh cold water. Depending on where you live, you may want to use bottled water. The purer and softer the water, the better the tea will taste. Pour some boiling water into the tea pot (or cup) to warm it; discard the water and add a teaspoon of loose tea . Bring the tea pot to the kettle and as soon as the water starts to boil, pour it over the tea leaves in the pot, or cup. The reason: oxygen releases the full flavor of tea. As water boils, it loses oxygen and over-boiled water makes tea taste flat. That's why you don't want to re-boil water in a kettle. Always use fresh water. Let the tea steep for 3 to 5 minutes for black tea, and a minute or two more for green tea and 8 to 12 minutes for herbal. While it is steeping, cover the tea pot with a 'tea cozy'. If you're just making one cup, cover it with a saucer.